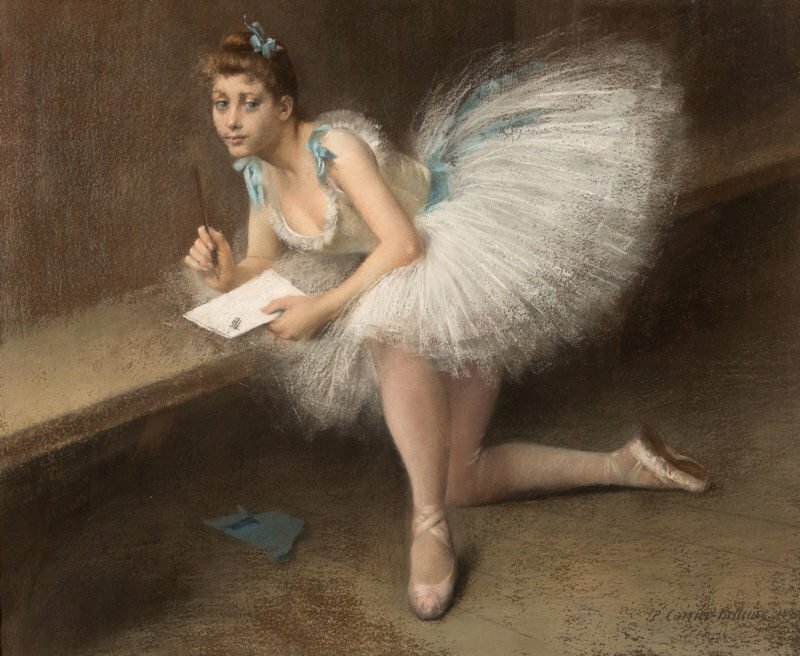 In The Dancer the artist has depicted a young ballerina staring coyly at the viewer as she writes a note. The viewer is left to wonder who she is writing to, perhaps a lover or a close relative. Carrier-Belleuse was a talented colourist and was celebrated for the harmony and tonality of his works. This can be seen in this drawing where the limited palette of grey, brown and white lends an air of tranquillity. Additionally the pop of sky blue in the sitter’s hair and costume provides an air of vivacity to the composition.